QUESTION: Do you think the leaks are a soft coup? ANSWER: The Obama administration intentionally set the stage knowing what they were doing was designed to undermine and cripple the Trump Administration. The sanctions on Putin were also intended to prevent Trump from reversing the tension created by Obama to create an international conflict. These leaks appear to be part of an intentional plot by Obama/Left to allow his supporters within the intelligence community to topple Trump if they can. Obama waited until he had just 17 days left in office to sign an executive order to expand the power of the National Security Agency (NSA) allowing it to share globally intercepted personal communications with the government’s 16 other intelligence agencies BEFORE any application of top secret or privacy protection would be attached. Obama never did this while he was in office. Whenever a politician does something like this, there is ALWAYS a hidden agenda. This Obama executive order changed everything with regard to national security that was put in place by an executive order dating back to Ronald Reagan. 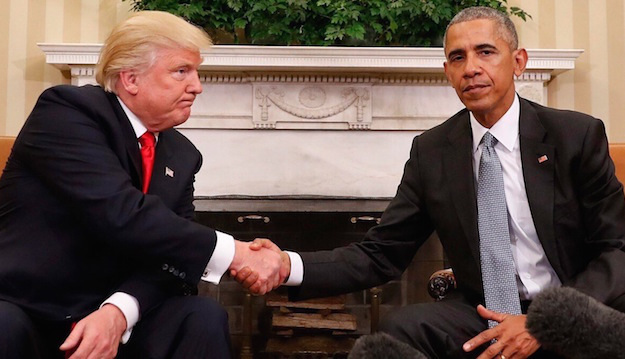 Obama opened the flood gates and this I personally believe was a treasonous act showing the Democrats adopted a strategy to undermine Trump from the outset and to create massive civil unrest. Trump MUST reinstate the national security procedures that have been in place since Ronald Reagan and fire everyone in intelligence appointed by Obama. Clean the swamp must start right there and NOW! Obama knew he would set up a shadow government and refuse to leave Washington. He seems to be working harder now while as President he may have played golf more than any other president. 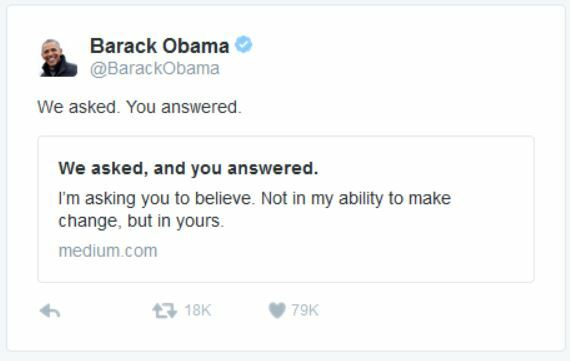 Proof that Obama is behind the civil unrest is the fact he has taken to Twitter. He states boldly to believe in that the people can bring about change through their own action. He is implying to rise up and create civil unrest on a massive scale. Tony Blair is taking the very same coordinated left-wing tactic in Britain. Obama has been behind this entire affair of creating civil unrest but he is not the mastermind so-to-speak. I believe this left-wing group is deliberately undermining national security with their moles strategically placed within the intelligence community to undermine the government. That is unquestionable TREASON and the press will only attack Trump and never defend the country. When Obama won, you did not see the other 46% set fires and try to bring down the government. The left always demands it is their way or no way. This is why we will move into civil war in the years ahead. Independents just say live and let live – don’t bother me and I will not bother you. Leftists say you can live only as they command – they cannot sleep at night worrying what independents are doing. It’s like the Hunger Games – suppress all freedom is their agenda.